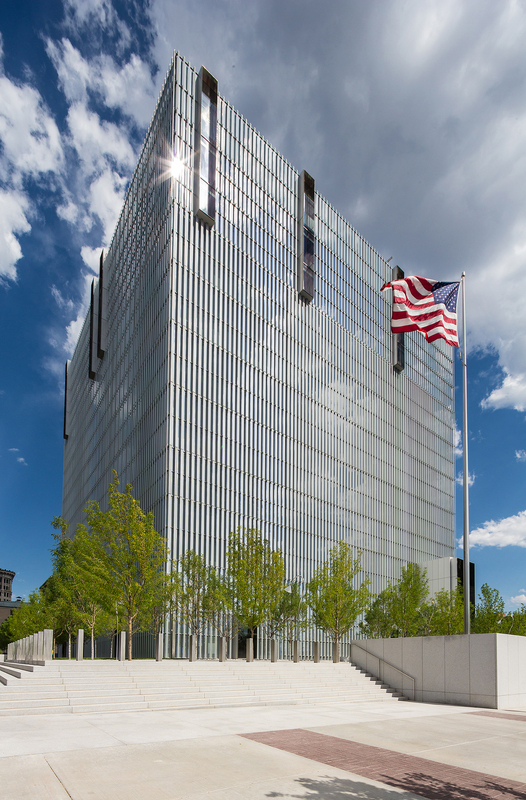 Located behind the existing Frank E. Moss Courthouse, the new district courthouse rests on a raised landscaped plaza. 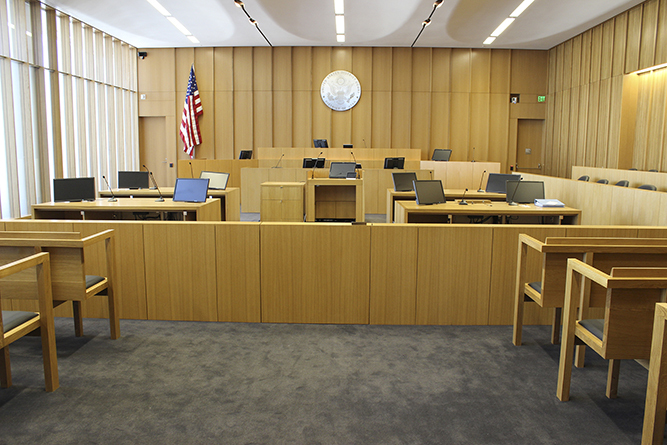 The building features nine district and five magistrate courtrooms, ceremonial courtrooms, 11 district and five magistrate judges’ chambers, jury assembly suite, U.S. attorney suite, and probation pretrial offices. Force protection design includes progressive collapse, blast loading design and design of structural components of critical spaces for defined explosive threats. Two levels of below-grade parking were designed for blast loads. 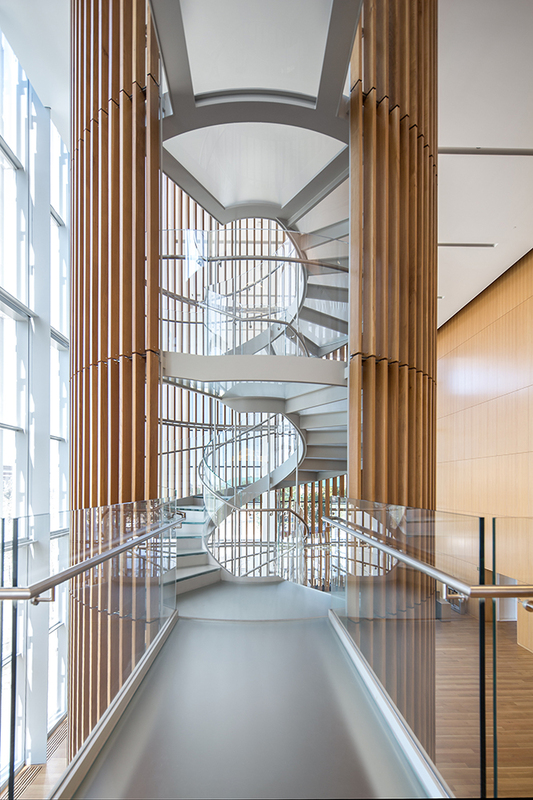 The ten-story building features a circular glass staircase extending from the first floor to the Special Proceedings Courtroom on the third level. It is suspended from the ceiling by steel rods and wrapped with a wooden screen. The 10-story atrium holds a large sculpture made from 380 optical aluminum tubes with different light-reflective qualities. 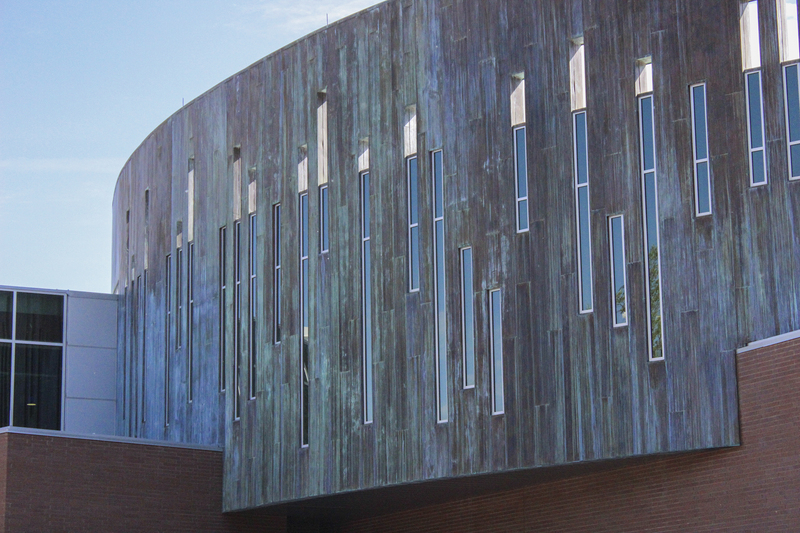 The structure was designed and constructed to achieve LEED Gold certification.